The Dominican Republic Ministry of Tourism and Women’s Golf and Travel Concierge have partnered to offer travel agents the opportunity to attend the LPGA Bank of Hope Founder’s Cup free of charge on Saturday, March 23. Those interested in attending simply need to share an IATA card, agent number or another form of travel agent identification at the gate. In addition, the two organizations will have an onsite booth where attendees can stop by to learn more about the many vacation possibilities and incredible course offerings, as well as register to win one of six travel packages being given away at the event. 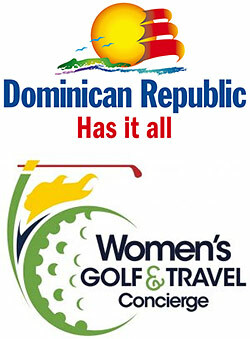 “We have worked diligently to establish Dominican Republic as the go-to destination for golf and we are elated to be part of such an incredible event and share information on our world-class golf and travel offerings with the passionate fanbase of the LPGA.” said Wendy Justo, Miami marketing director for the Dominican Republic Ministry of Tourism. The ninth annual LPGA Bank of Hope Founders Cup will be played March 18 - 24, 2019 at Wildfire Golf Club at the JW Marriott Desert Ridge Resort and Spa in Phoenix, AZ. This full-field, four-day event will be televised live on The Golf Channel all four days and featuring a $1.5 million purse. The LPGA Bank of Hope Founders Cup was established to honor the 13 original Founders of the LPGA, as well as to help continue the growth of the LPGA-USGA Girls Golf Program, which has received almost $3 million from tournament proceeds to date. The top women golfers in the world will tee it up and compete at Wildfire Golf Club for the LPGA's Bank of Hope Cup. The Bank of Hope Founders Cup pays tribute to the people who had a major role in creating the LPGA. In Puerto Plata on the north coast, the 27 Charcos de Damajagua are the crown jewel of waterfall adventures in Dominican Republic. This series of cascades is best explored with a hiking excursion through thick forests across footbridges that lead to a rocky hilltop. Here, you’ll begin your downward journey by jumping or sliding down a series of naturally formed “water slides”. chutes and jump into crystal-clear turquoise pools. Most excursions only feature seven of the falls, but visitors who are conditioned for the physical challenge may choose to pursue all 27. In the northeast region of Samaná, Salto El Limón, salto meaning waterfalls in Spanish, is a picture-perfect cascade tumbling down 130 feet from the top of Sierra de Samaná. To reach the waterfall, you’ll embark on a 1.5-mile trek through verdant hills and trees. Take the journey by foot or on horseback and admire the lush, hilly terrain while en route—you’re sure to spot unique flora and fauna along the way, like the royal palm tree, pineapples, or the palmchat, the country’s national bird. For a more active journey to the falls, try your hand at canyoning through the El Limón river to reach El Limón. When you arrive, marvel at the power of the cascade, cool off in the freshwater pool at the base, and enjoy the relaxing sounds of the rushing water as it provides a natural soundtrack to this truly unique experience. Juan Dolio is a wonderful option for travelers looking to experience both Santo Domingo's rich history and vibrant nightlife as well as La Romana's luxurious and sunny attractions, both accessible in under an hour. Juan Dolio’s 10-kilometer (six-mile) long, spacious and sparkling white sand beach is the perfect destination for a day of scuba diving and swimming, plus it’s dotted with hotels, dive shops, restaurants, and bars. For a thrill nearby, Cueva de las Maravillas offers a stunning natural excursion while the Barceló Rum Historical Center gives guests a taste of one of Dominican Republic's beloved products. Golf aficionados are able to play two of the country's 28 courses here–Los Marlins and Guavaberry–with La Romana's designer golf courses just a drive away. The mountain resort of Jarabacoa has long been popular among Dominicans for its cool temperatures, fresh rivers and breathtaking views of sweeping green landscapes flanked by dense pine forests and coffeeproducing mountains. This ecotourism hot spot is also home to some of the country’s most gorgeous cascades, including Salto de Baiguate. The waterfall tumbles down 82 feet into a freshwater pool that goes from shallow to deep as you approach the falls. The pool is a popular spot for a midday swim and although it’s tucked below a deep canyon, it’s easily accessible via a series of wooden steps that lead directly to the water. For the brave, book a canyoning excursion that concludes with a thrilling rappel down the waterfall. Just 20 minutes outside of Jarabacoa, waterfall chasers flock to Salto de Jimenoa Dos. Well known as the waterfall that appears in the beginning of the movie Jurassic Park, this is one adventure lovers shouldn’t miss. Allow ample time to walk the three suspended footbridges that surround this powerful waterfall and take in the unspoiled views. The water chute tumbles 131 feet to incredible depths and strong currents at the base—you can swim in the lower portions of the river along the shallow banks, but not the main waterfall area’s pools. While you’re in the area, plan to visit a second, smaller waterfall known as Salto de Jimenoa Uno. Tucked inside a ravine, this waterfall is worth the steep downhill hike to admire its magnificent 246-foot drop and jump in the pool for a revitalizing swim. Spend a day away from the sand and you’ll find a myriad of inland adventures. Cool off in freshwater cenotes and lagoons tucked inside forests at Ojos Indígenas. To explore the landscape, spend an afternoon with a zipline or caving expedition. For those with a need for speed, select from a half- or full-day off-road safari. Explore the authentic Dominican countryside via an ATV or 4x4 buggy, tumbling past roadside meat shops and sugar cane plantations. If daytime activities are abundant, nights are no less vibrant. The young at heart can dance the evening away until their feet tire at Punta Cana’s modern nightclubs, for a slower pace head to Cap Cana marina to relax under the stars at seaside lounges, with cocktails, bites, and hand-rolled cigars. To learn more about how to book your spring break extravaganza in Dominican Republic, visit www.GoDominicanRepublic.com. Well known for off-the-beaten-path excursions, rich culture, endless amenities and year-round perfect climate, Dominican Republic is a place like no other. Easily accessible via a direct flight from most major airports, it is an ideal oasis for celebrities, couples and families alike. From hiking trails to undiscovered beaches and world-class golf courses, here you can renew in our luxurious and diverse accommodations, explore ancient relics of centuries past, revel in Dominican fare, or enjoy ecotourism adventures in our magnificent national parks, mountain ranges and rivers. Surrounded by the Caribbean Sea on the south and the Atlantic Ocean on the north, Dominican Republic features a variety of sports, recreation and entertainment options, exclusive cultural experiences like dancing, carnival festivities, plus Dominican specialties such as cigars, rum, chocolate, coffee, amber and larimar. Between adventurous Puerto Plata, lush Samaná, historic Santo Domingo, sunny Punta Cana, luxe La Romana, bustling Barahona and more, each area has something for every type of traveler and budget.